Dubai, UAE, 22 January 2018 – Emirates, the world’s largest international airline, announced a US$ 16 billion (AED 58.7 billion) deal for 36 additional Airbus A380 aircraft, with 20 firm orders and 16 options. 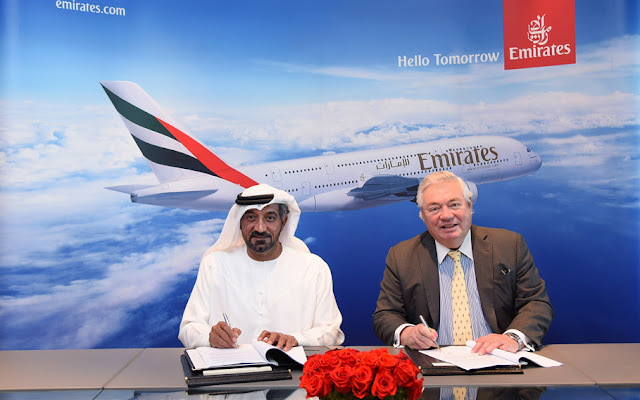 Emirates’ A380 fleet operates both Engine Alliance and Rolls-Royce engines, and the airline is evaluating engine options for its latest A380 order. Emirates’ partnership with Airbus spans decades. 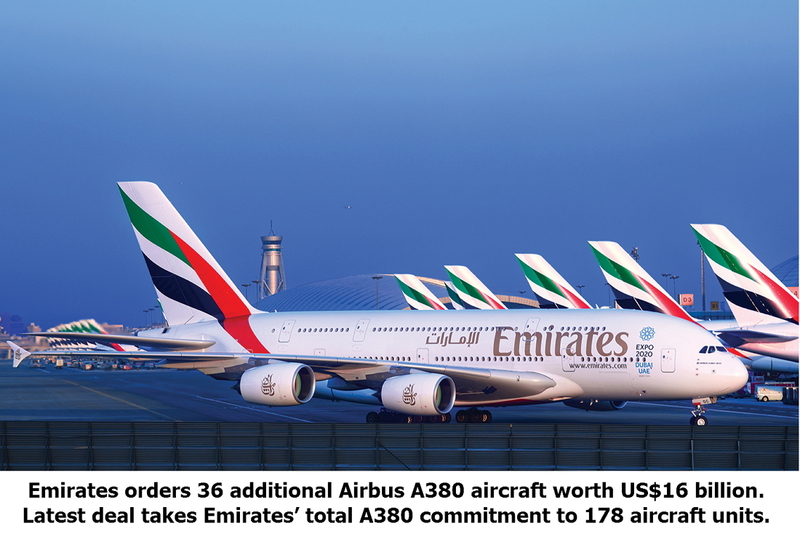 Emirates is by far the largest Airbus A380 operator on the planet with 101 A380s in service.